For additional details on why you might consider using Keras for your deep learning projects, see the Why Use Keras? article. Below we walk through a simple example of using Keras to recognize handwritten digits from the MNIST dataset. After getting familiar with the basics, check out the tutorials and additional learning resources available on this website. The Deep Learning with R book by François Chollet (the creator of Keras) provides a more comprehensive introduction to both Keras and the concepts and practice of deep learning. You may also find it convenient to download the Deep Learning with Keras cheat sheet, a quick high-level reference to all of the capabilities of Keras. These tutorials walk you through the main components of the Keras library and demonstrate the core workflows used for training and improving the performance of neural networks. The Guide to Keras Basics provides a more condensed summary of this material. The Deep Learning with Keras cheat sheet also provides a condensed high level guide to using Keras. The examples demonstrate more advanced models including transfer learning, variational auto-encoding, question-answering with memory networks, text generation with stacked LSTMs, etc. The function reference includes detailed information on all of the functions available in the package. If you want a more comprehensive introduction to both Keras and the concepts and practice of deep learning, we recommend the Deep Learning with R book from Manning. 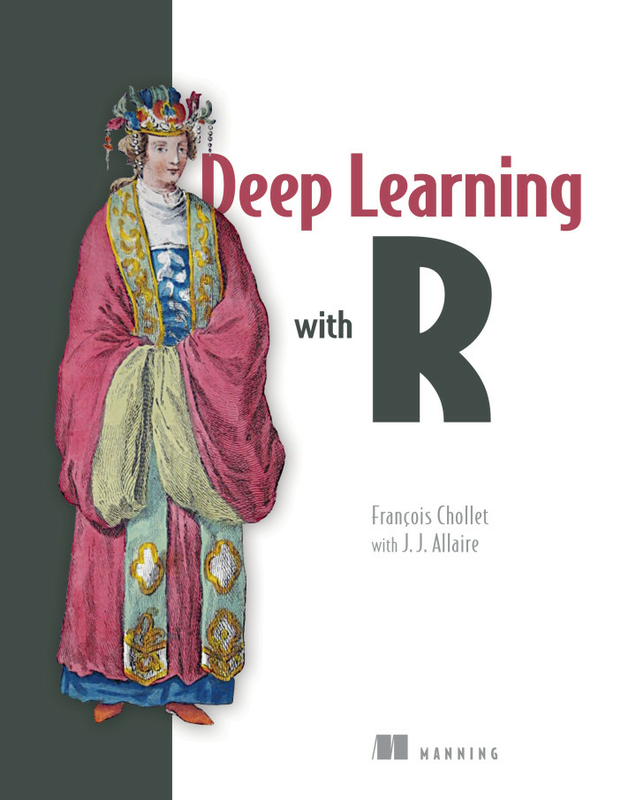 This book is a collaboration between François Chollet, the creator of Keras, and J.J. Allaire, who wrote the R interface to Keras. The book presumes no significant knowledge of machine learning and deep learning, and goes all the way from basic theory to advanced practical applications, all using the R interface to Keras. Keras (κέρας) means horn in Greek. It is a reference to a literary image from ancient Greek and Latin literature, first found in the Odyssey, where dream spirits (Oneiroi, singular Oneiros) are divided between those who deceive men with false visions, who arrive to Earth through a gate of ivory, and those who announce a future that will come to pass, who arrive through a gate of horn. It’s a play on the words κέρας (horn) / κραίνω (fulfill), and ἐλέφας (ivory) / ἐλεφαίρομαι (deceive). “Oneiroi are beyond our unravelling –who can be sure what tale they tell? Not all that men look for comes to pass. Two gates there are that give passage to fleeting Oneiroi; one is made of horn, one of ivory. The Oneiroi that pass through sawn ivory are deceitful, bearing a message that will not be fulfilled; those that come out through polished horn have truth behind them, to be accomplished for men who see them.” Homer, Odyssey 19. 562 ff (Shewring translation).